After severe fighting, members of the Australian Imperial Force on 6 August 1915 took the high and strategic Lone Pine Ridge. Several days of extremely heavy Turkish counter-attacking followed. Over 2,000 and 7,000 Australian and Turkish soldiers were killed. Seven Australians were awarded the Victoria Cross. An Australian soldier who took part in the action, in which his brother was killed, took a cone from one of the Pine tree logs used by the Turks as overhead cover for their trenches. He later sent it to his mother. From a seed shed by this cone she grew a seedling Pine tree. In 1934 the Duke of Gloucester planted this tree in the grounds of the Australian War Memorial, Canberra in memory of the Australians who fell at Lone Pine. The tree growing here was raised from seed taken from the original tree in Canberra. 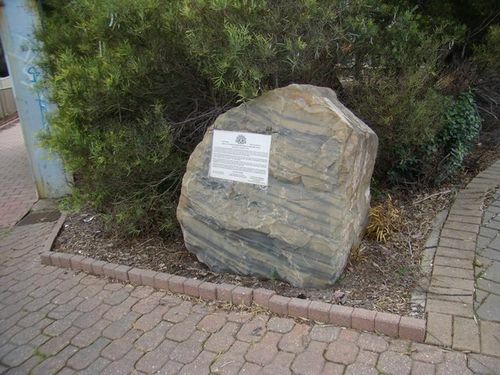 It was planted on Remembrance Day, 11 November 1999, in memory of all persons who served in defence of Australia, in particular those who paid the supreme sacrifice.